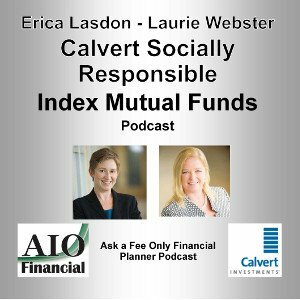 In this episode, I speak with Erica Lasdon (Sustainable Research Department) and Laurie Webster (Investment operations) at Calvert Investments. Calvert is one of the largest and most active Socially Responsible Investing (SRI) mutual fund companies. They have come out with some lower expense ratio index SRI funds.